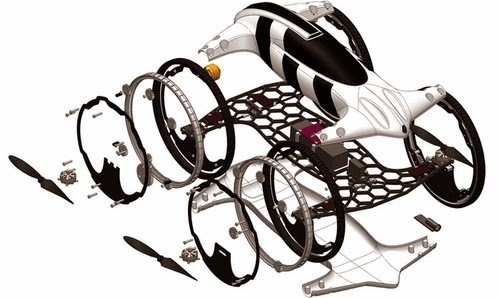 This is a prototype of a remote controlled (RC) car that can do a lot of things. 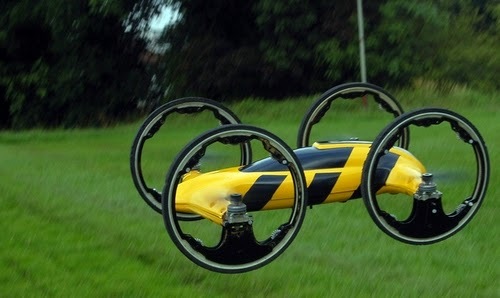 It can be driven like normal RC car and it can also fly like a helicopter. Furter more it is equipped with a 720x1280 HD camera that is mounted on the front of the car, that supports a 32gb Micro SD card so that you can film all your stunts from the the ground or sky. Witold Mielniczek inventor of the flying car also called 'B' is based in Southampton in the UK. At the moment he is trying to raise the money he needs for manufacturing from Kickstarter. We have included 2 videos in the article to showcase all the aspects of this small marvel. Very kind of you, hope you have a wonderful weekend.